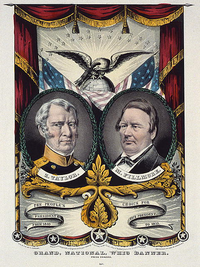 Former President Martin Van Buren once again sought the Democratic nomination, but Lewis Cass was nominated on the fourth ballot. 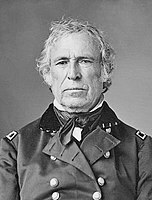 Cass had served as Governor and Senator for Michigan, as well as Secretary of War under Andrew Jackson, and from 1836 to 1842 as ambassador to France. 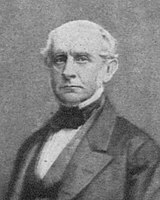 General William O. Butler was nominated to join Cass on the ticket, garnering 169 delegate votes to defeat five other candidates, including future Vice-President William R. King and future Confederate President Jefferson Davis. 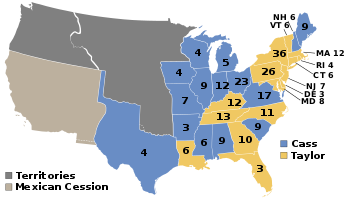 The Free Soil Party was organized for the 1848 election to oppose further expansion of slavery into the western territories. 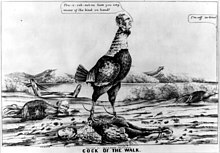 Much of its support came from disaffected anti-slavery Barnburner Democrats and Conscience Whigs, including former President Martin Van Buren. 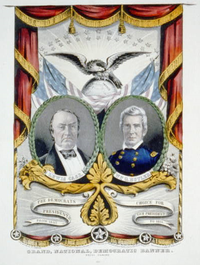 The party was led by Salmon P. Chase and John Parker Hale and held its 1848 convention in Utica and Buffalo, New York. 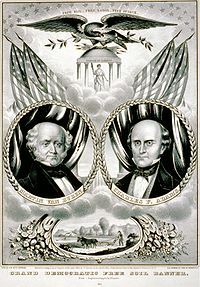 On June 22, Van Buren defeated Hale by a 154-129 delegate count to capture the Free Soil nomination, while Charles Francis Adams, whose father ( John Quincy Adams) and grandfather ( John Adams) had both served as president, was chosen as the vice-presidential nominee.